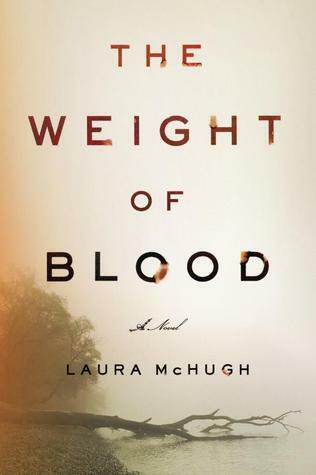 “The Weight of Blood” is a coming-of-age story, one wrapped in mystery and woven together with family ties and truths. Lucy loves her family and friends, but the discovery of a murdered friend’s pendent in an unexpected place causes Lucy to start to question what she really knows about them. Everyone has secrets, she discovers, and perhaps the secrets of those closest to Lucy are darker than most. One of the darkest secrets may involve the disappearance of her mother, Lila, years ago. Will revealing the secret bring her friends and family peace, or destroy them all together? Two women are missing—one from the past and one from the present. Long ago, Lila Dane went missing; she was last seen running into a local cave carrying a gun. In present day, her daughter Lucy is distraught over the loss of her friend, Cheri, who is found murdered after being missing for a year. When Lucy finds Cheri’s pendant, Lucy starts to ask questions, dangerous questions. As tensions mount, Lucy begins to suspect that Cheri’s murder and her mother’s disappearance are related. The cost of the truth, she realizes, may be more than she is willing to pay. This novel, set in the town of Henbane in the Ozarks, is a starkly beautiful tale. The author deftly shows us the ties that bind the small community of Henbane together, for better or for worse. She brings the landscape to life so clearly that I could almost hear the buzz of mosquitoes and feel the heat and humidity of a late Southern summer. This is Laura McHugh’s first book, and it is a doozy. I look forward to her next book with great anticipation.